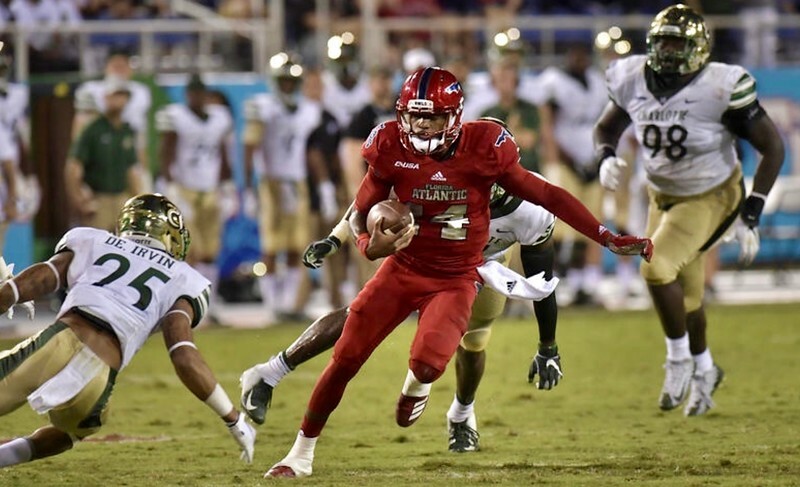 FAU Football vs Charlotte 49’ers, FAU Stadium - Nov 24, 2018, 6:00pm. 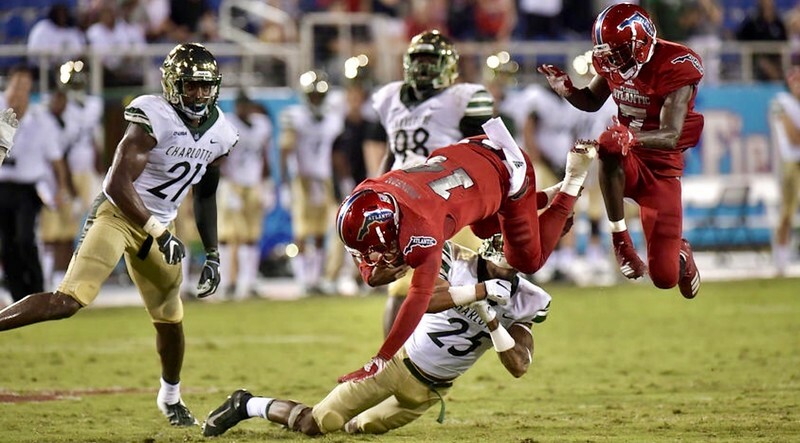 FAU fell 27-24 on a late 56-yard field goal on Senior Night at FAU Stadium on Saturday. 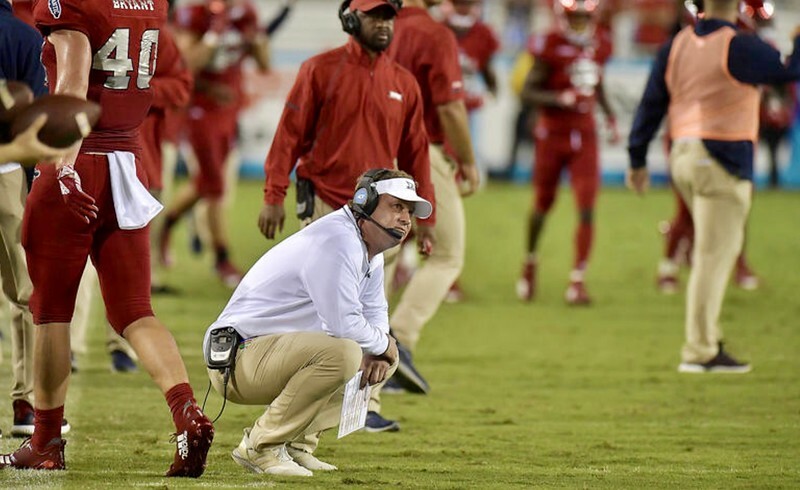 The Owls (5-7, 3-5 Conference USA) failed to reach the sixth win necessary for bowl eligibility. 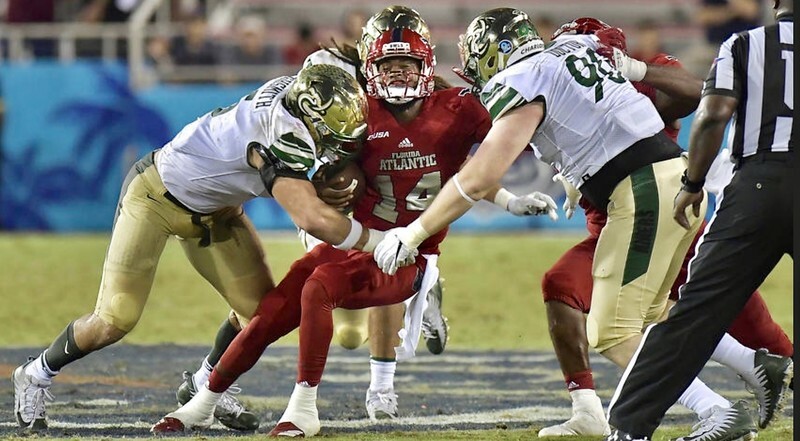 Charlotte kicker Jonathan Cruz drilled a line drive just over the cross bar with 25 seconds remaining to give the 49ers (5-7, 4-4 Conference USA) the three-point advantage. 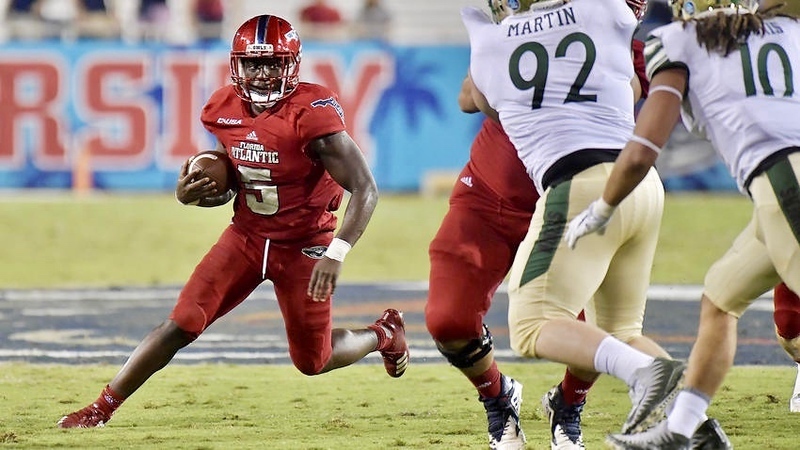 FAU had one final chance, but Willie Wright caught a pass, tried to flip it to Jovon Durante on a lateral. The ball went to the ground, and the fumble was recovered by Charlotte with three seconds left. The 49ers knelt one time, and that was it. 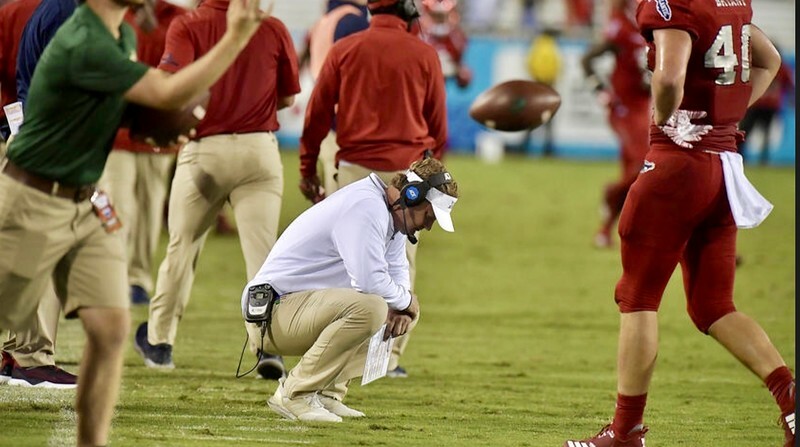 A season filled with disappointment for the Owls, after going 11-3 a year ago, came to an end on a night where the Owls allowed 289 rushing yards. 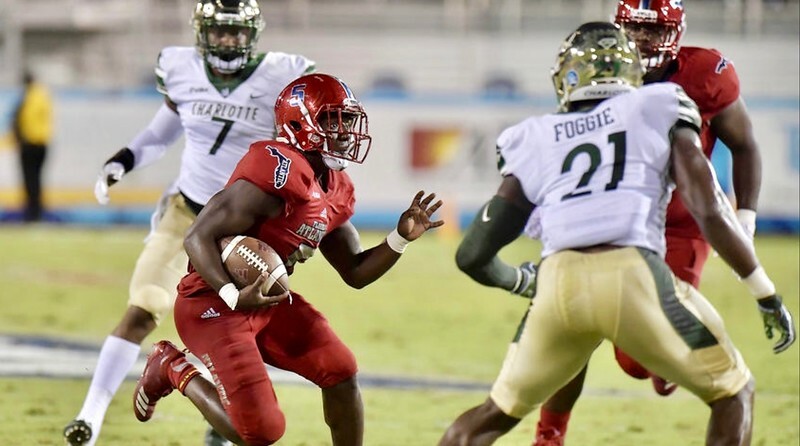 Junior running back Devin “Motor” Singletary, in what could be his final game with FAU, depending on his postseason decision whether to forego his senior season for the NFL, went for 88 yards on 23 carries and didn’t get into the end zone. 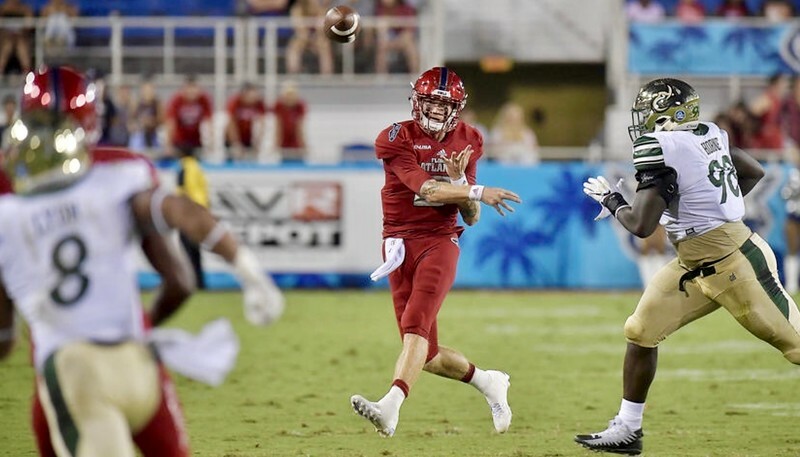 Quarterback Chris Robison went 13 of 22 for 273 yards and two passing touchdowns, plus another on the ground, but with FAU trailing 24-21 in the fourth quarter, coach Lane Kiffin opted for backup De’Andre Johnson. 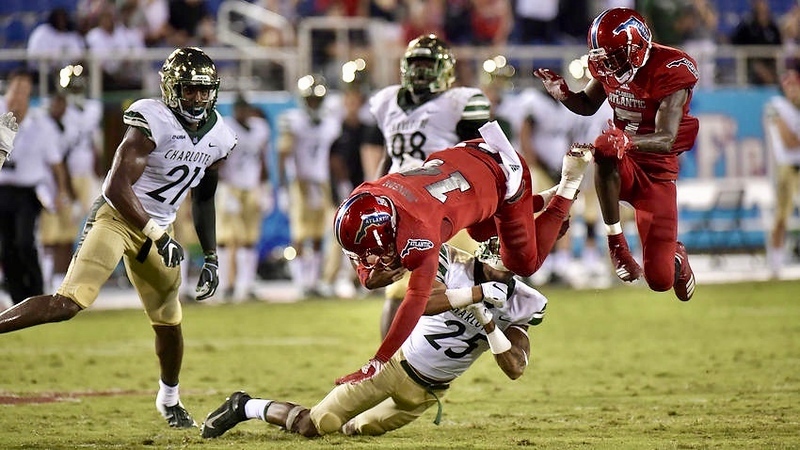 Johnson, in his second series, led a field goal-scoring drive that was capped by Vladimir Rivas’ 33-yard kick with 3:12 remaining to tie the Owls with Charlotte at 24. 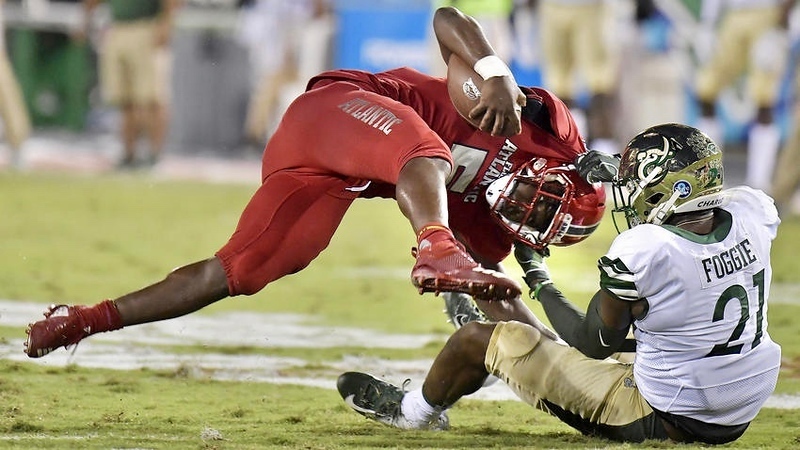 Johnson, who had 65 rushing yards and 32 through the air on 3-of-6 passing, playing exclusively in the fourth quarter, had a key 9-yard run that was just short of a first down but set up a fourth-and-1 where the Owls faked a punt and tight end Harrison Bryant converted the run on a direct snap. Singletary rushed for 12 on third-and-long ahead of the tying field goal. The 49ers went ahead 24-21 on a 13-yard touchdown rush to the right from quarterback Hasaan Klugh off a fake inside give. Klugh also engineered the 49ers’ winning field-goal drive, finishing with just 91 passing yards but 85 rushing. 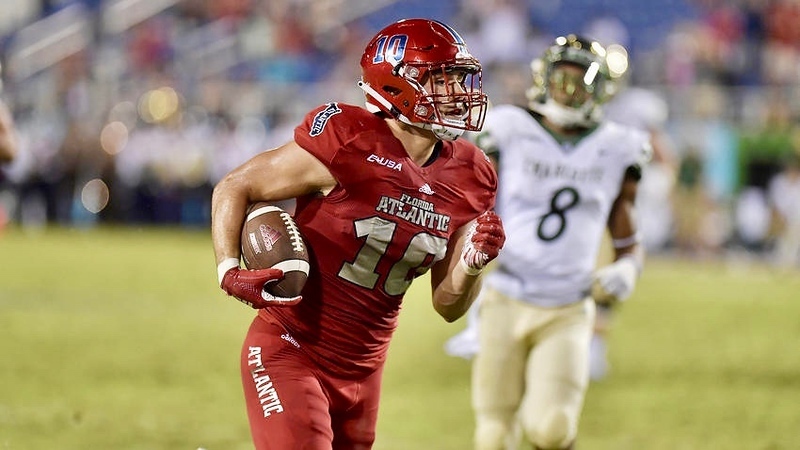 FAU took a 14-10 lead with 3:29 remaining in the first half when Robison hit tight end John Raine on a play-action fake over the top for a 23-yard touchdown. It was Raine’s first career touchdown. 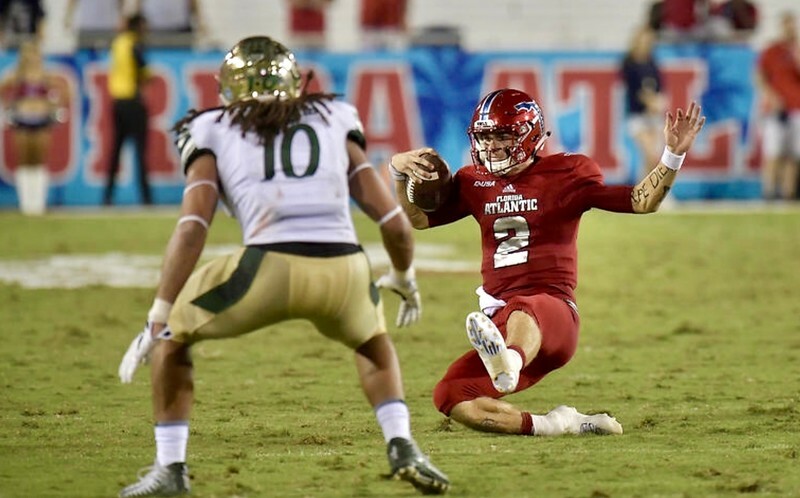 After Miramar alum Korel Smith recorded his first career interception, FAU marched 39 yards to extend its lead to 21-10 on a Robison 4-yard touchdown run. That lead was cut back to four in the middle of the third quarter when Charlotte running back Benny LeMay, who finished with 173 rushing yards, scored from 54 yards out. 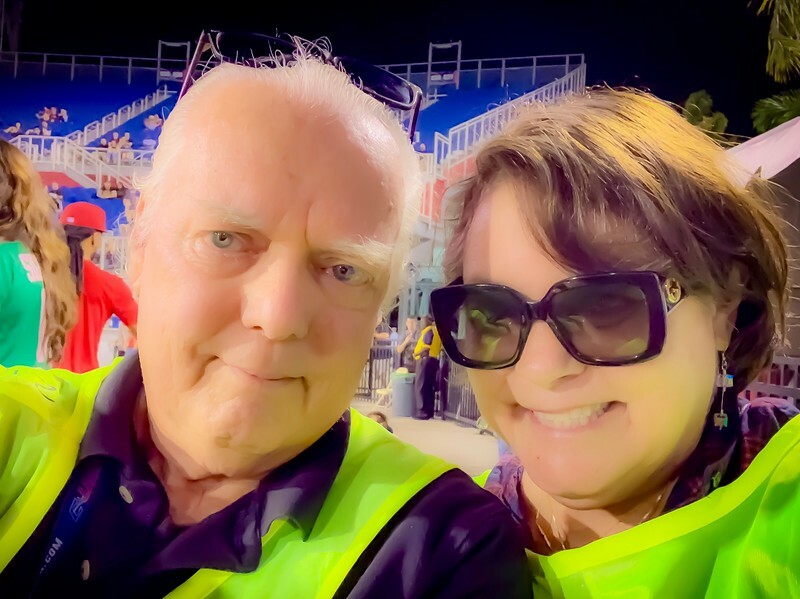 FAU started with Kerrith Whyte scoring from 75 yards out on a jet sweep that was a forward pass behind the line of scrimmage from Robison. The Owls were up 7-0 in 13 seconds. Imagery courtesy of South Florida Sun-Sentinel.